Posted August 27, 2015 by Declan Tierney, The Connacht Tribune in News. 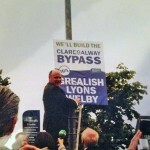 A senior Council official has confirmed that the Claregalway bypass is not off the agenda. In fact Director of Roads Liam Gavin said that the local authority was putting pressure on the Department of Transport to advance the project to the next stage. 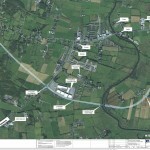 The route for the Claregalway Bypass has been selected and now it has to go to compulsory purchase—although it is already known that the majority of the affected land owners are in favour of the project. Added to that, Galway County Council has recognised the need for an inner relief road for Claregalway despite the motorway from Gort to Tuam progressing. 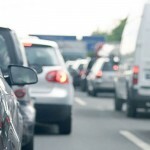 Local TD Noel Grealish said that those travelling from North Galway to the city would still use the old route rather than being help up in a traffic jam in Doughiska. But it has been confirmed that Galway County Council are seeking funding from the Department of Transport to progress with the bypass for Claregalway. Director of Roads Mr Gavin confirmed that the bypass was still a priority that they had engaged in a consultation process with the Department over the issue. He said that they would continue to engage with the Department with a view to progressing the Claregalway inner relief road. “The diversion of through traffic from Claregalway remains a priority for Galway County Council along with the provision of traffic calming in the village”, Mr. Gavin added. He did concede that the provision of the Gort to Tuam motorway would reduce traffic through Claregalway but he wanted to make the village more pedestrian and cycle friendly. Traffic calming measures are also proposed for the village. Deputy Grealish said that it was time for all TDs and elected representatives to row in behind the demand for a bypass for Claregalway. 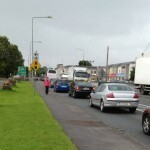 He said that in the absence of a Galway City outer ring road, very few motorists would use the Gort to Tuam motorway. They would be using the existing routes rather than queuing up at a junction in Doughiska. 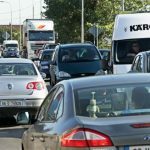 It is estimated that the provision of a bypass for Claregalway will cost €21 million and the Department are not willing to fund it at the moment. The is despite the fact a design team was appointed and the preferred route for the bypass was selected. But the Transport Minister has now poured cold water on this project going ahead at the moment. But Galway County Council are putting pressure on the Department to provide funding and say that is is one of their major infrastructural projects for the county.